Pathways Poly Paper Cold Cups - 16 Oz. 2 Cup Handled Drink Carrier - 3.63 in. x 8 in. x 10.13 in. Pathways Poly Lined No Handle Paper Hot Cup - 8 oz. White Small Auto Bottom Fast Top Carryout Carton - 4.5 in. Dixie Automatic Bottom Fast Top Carryout Carton Red Plaid - 7 in. x 4.5 in. x 2.75 in. 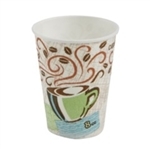 PerfecTouch Coffee Dreams Paper Hot Cup - 8 oz. Clear Wise Size Plastic Cup - 12 oz. Red Plaid Glued Small French Fry Carton - 1.5 in. x 3.38 in. x 3.5 in. Dixie Glued French Fry Cartons Large Red Plaid - 6 Oz. Heavyweight Polystyrene Fork - 7.13 in. Dixie Small Auto-Bottom Handled Take Out Carton - 9.88 in. Red Plaid Medium Auto-Bottom Handled Take Out Carton - 5 in. x 8 in. x 8 in. Kold-Lok Snowfibre White Freezer Paper - 18 in. x 1100 ft.
Unbleached Ecosmart Greaseproof Pan Liner - 16.38 in. x 24.38 in. SmartStock Medium Weight Polystyrene Fork Black - 6.5 in. SmartStock Medium Weight Polystyrene Knife Black - 7 in. Pathways Heavy Weight Paper Bowls - 12 Oz. Pathways Ultra Heavy Weight Paper Plate - 10 in. Pathways Wise Size Ultra Strong Heavy Weight Paper Plate - 8.5 in. Pathways Medium Weight Paper Plate - 6.87 in. Pathways Medium Weight Paper Bowl - 8.5 in. 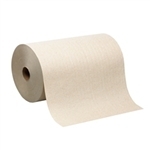 White Jumbo Roll 1 Ply Bath Tissue - 3.5 in. x 2000 ft.
Angel Soft Ultra 2 Ply White Bathroom Tissue - 4.5 in. x 4.05 in. 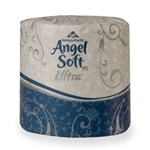 Angel Soft 2-Ply Tissue - 4 in. x 4.05 in. 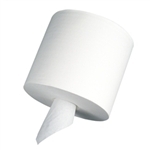 Compact Coreless 2 Ply Tissue White - 3.85 in. x 4.05 in. 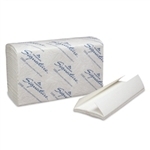 Signature 2 Ply C-Fold White Paper Towel - 10.25 in. x 13.25 in. Envision Multifold Brown Paper Towel - 9.25 in. x 9.5 in. Envision Singlefold Brown 1 Ply Paper Towel - 9.5 in. x 10.63 in. SofPull Premium Centerpull White 1 Ply Paper Towel - 7.8 in. x 15 in. SofPull Premium Centerpull High Capacity White Paper Towel - 7.8 in. Cormatic Hardwound Roll High Capacity Brown Towel - 8.25 in. Brawny Industrial Light-Duty 2-Ply White Wiper - 8 in. x 12.5 in. EnMotion Gentle Foam Soap With Moisturizers - 1200 Ml. Safe-T-Gard Half Fold White Paper Seatcovers - 14.5 in. x 17 in. Enmotion EPA Compliant Touchless Roll Towel - 8.25 in. x 700 ft.
Napkin Hynap 4 Dispenser - 7 in. x 13.5 in. White 1 Ply Beverage Napkin - 9.5 in. x 9.5 in. White 2 Ply Paper Dinner Napkin - 17 in. x 15 in. Luncheon 1-Ply Napkin White - 6.25 in. x 5.75 in. Pacific Garden Gentle Foam Soap - 1200 Ml. Envision Facial Tissue 2 Ply White - 8.33 in. x 8 in. 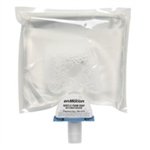 SmartStock Bio-Blend Fork Refill Beige - 6.5 in. SmartStock Bio-Blend Plastic Combo Beige Spoon Refill - 6 in. SmartStock Bio-Blend Plastic Combo Beige Knife Refill - 7 in.